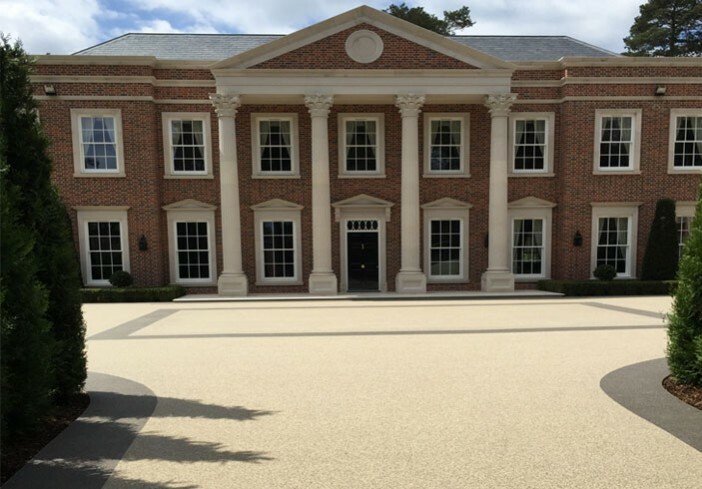 Located on the Wentworth Estate, home to the Wentworth Club, one of the world’s finest golf and country clubs, Lanesborough is the impressive self-built home of John and Elizabeth Baines. Being a ‘hands-on’ kinda guy with an eye for detail and the skills to match, John is an exacting client. The Baines family had the perfect prestigious location and perfect Regency home. All they needed to complete the picture was perfect paving. With a background in design and landscaping, Clearstone craftsmen are happy to advise on colour, design and style to suit all types of home. Lanesborough had a huge frontage to pave. John and Elizabeth Baines didn’t want one solid colour, fearing their driveway might resemble a car park! They envisaged a simple but stylish pattern using two colours – hues that would complement Lanesborough’s carefully chosen brickwork and a pattern that would enhance this magnificent Regency home without being too busy. Based on the Baines’ ideas, Andy created a choice of CAD designs, making sure the proportions were suitable for the area. “Initially I was going to go with a light grey for the main colour but I’m so glad I took Andy’s advice,” says John. 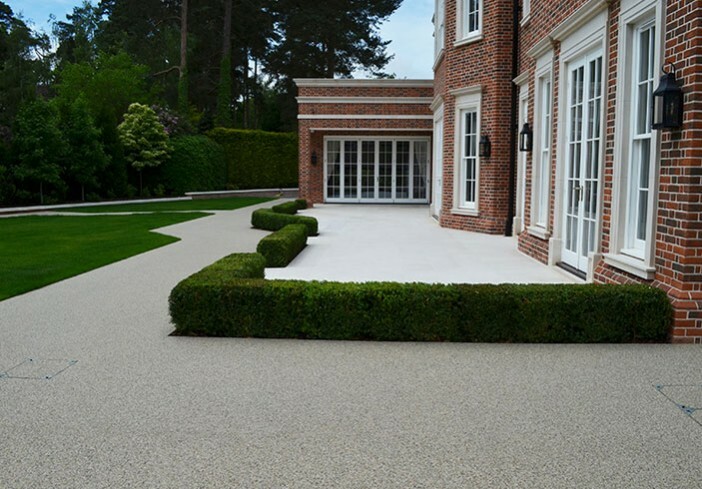 At Andy’s suggestion, the Baines’ chose a grid pattern of birch natural stone with seal aggregate resin bound inlays edged with aluminium beading. 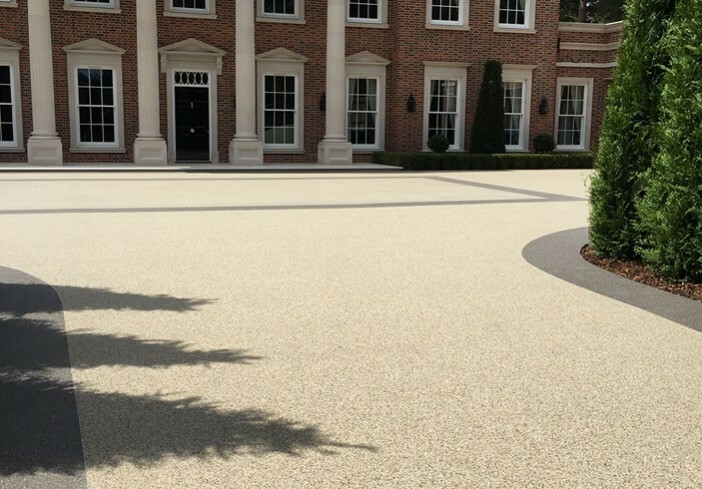 “Eight weeks after installation the paving is still perfect. Everyone who calls round says it’s fantastic. We are over the moon and I have recommended Clearstone to many other people,” enthuses John. This is high praise indeed from someone who has won awards for the houses he’s built – Lanesborough has been shortlisted for Runnymede Borough Council’s House of the Year Award. 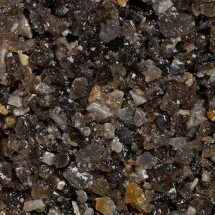 John describes himself as being “pedantic about things I do on my house,” even laying the sub-base for the resin bound himself. “Clearstone staff were brilliant; we love them! They were the best contractors we had on site,” says Elizabeth. 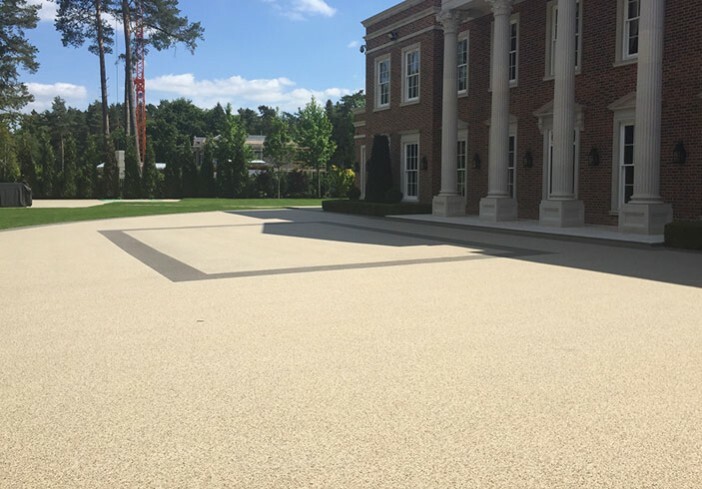 It’s not surprising the Baines’ are so delighted: 1200 sq m of resin bound paving installed a week before schedule. 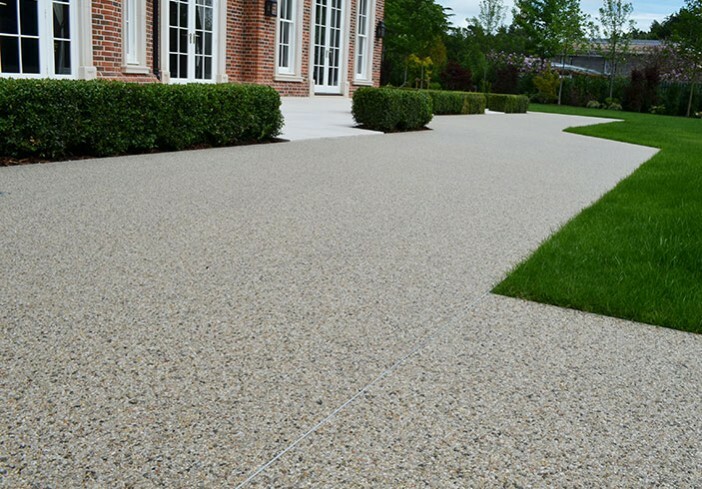 Their new paving is hardwearing, practical colourfast, resistant to oil and petrol spills and just needs a quick powerwash and brush to keep it looking as pristine as the day it was installed. A stunning, no-fuss product and professional service backed by the reassurance of a 10-year guarantee. 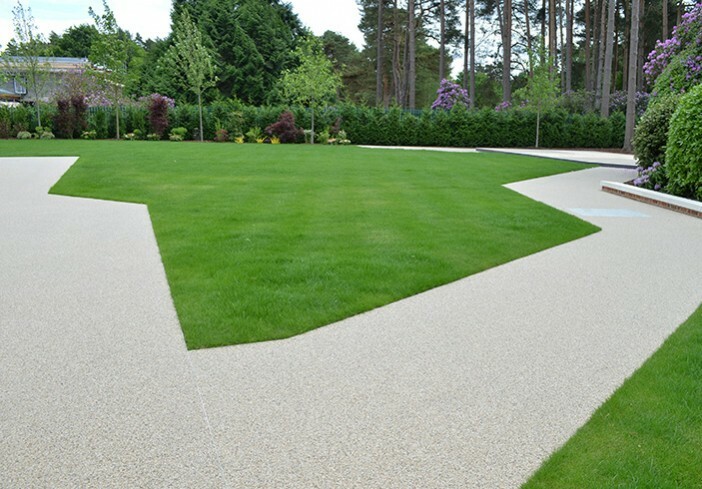 Design Service: Clearstone created CAD designs for the driveway shape and contrasting boarders. Edging: Area edged with aluminium beading. 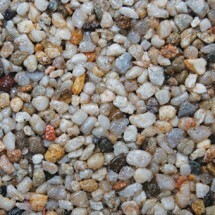 Area: Installed area 1,200 m2, laid at a thickness of 18mm.